Disclosure: I received a booster from Safety 1st for this partnered post. One Winner will Receive a Safety 1st Car Seat! I'd like to win the Summit® Booster Car Seat - Entwine. I plan on surviving the holidays with my grandsons by doing fun crafts and baking delicious treats! I would love to win the Summit Booster Car Seat. My sister is recently pregnant and this would be perfect for her. I like the onBoard™35 Air SE Infant Car Seat - O2. I would like the 'Summit® Booster Car Seat - Rachel'. I plan to survive by keeping it simple and not overbooking us. saying no when needed....and sticking close to home. I'd like the Advance 70 Air + Convertible Car Seat - Tyson. We aren't traveling anywhere, so it'll be easy to survive the holidays. We do stay home Christmas Day so we can spend the day as a family, and the kids can enjoy their gifts. I would love to have the onBoard™35 Air SE Infant Car Seat - O2. I plan to survive by having lots of activities to do with the kids and keep their little hands and minds busy! I would love the Elite 80 Air + 3-in-1 Car Seat for my son who is quickly outgrowing his infant seat! My tips for holiday travel is bring plenty of snacks and entertainment, and give yourself extra time to get where you are going! I would pick the onBoard™35 Infant Car Seat - Issie. I'm expecting my second child in Dec. so I am not sure how I will be surviving the holidays! I like the Complete Air 65 Convertible car seat. I don't know how we will survive...LOL. I have four kids under 7 and am expecting #5! It should be crazy and chaotic but well worth it! I'd love to win the Advance SE 65 Air + Convertible Car Seat - St. Germain! I plan on surviving the holidays by planning some fun activities ahead of time. Also, I'll be paying my niece to baby-sit so that I can get some things done! I love the Complete Air™ 65 Convertible Car Seat - Sea Breeze! We'll survive winter with blocks and video games since it's too cold to go outside! the summit booster car seat is my favorite! oh and as for the holidays, we have lots of christmas parties to go to, and my son is having a "people I know party"
Model: CC114CKJ and I plan on alternating between coffee and wine to get me through! I'd love either the Boost Air Protect® Booster Car Seat - Julianne or the Summit® Booster Car Seat - Victorian Lace. We will survive the Holidays this year by not traveling! LOL My sister will be here so all our kids will be keeping each other company and playing together! Visited the site and I would love to win the Alpha Elite™ 65 Convertible Car Seat - Decatur for my son because its an amazing seat with a high weight limit. I think I would get the Complete Air™ 65 Convertible Car Seat. This holiday we are trying to take it easy, visit family, and just enjoy the season. 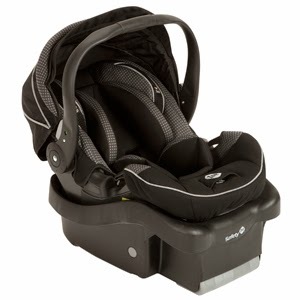 Summit Booster Car Seat - Entwine. Love to have the Complete Air™ 65 Convertible Car Seat - Sea Breeze. I will survive by not overdoing everything! 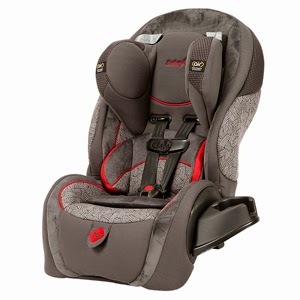 I like Advance SE 65 Air + Convertible Car Seat - St. Germain. I will survive by shopping online. I want the Summit® Booster Car Seat - Rachel. I made sure to have activity packs already put together to keep my kiddos busy. I also did 95% of my shopping already so that I won't be stressed out doing it with the kids. Id love the Complete Air 65 Convertible seat for my daughter! I'd like the Complete Air 65 Convertible Car Seat. We are surviving the holidays by only traveling to the families that live in our state! I'd love to have the Summit Booster Car Seat in Chateau. I plan on surviving the holidays by planning some quiet family nights mixed in with the friend and family plans. Reading books by the first with some hot chocolate! I would like the Complete Air™ 65 Convertible Car Seat - Great Lakes. We take lots of car games & snacks on trips. I'd pick the onBoard™35 Infant Car Seat. We're lucky not to have to travel far this year, but we survive by decorating early and listening to music early -- to enjoy the holidays before things get stressful and crazy with shopping and preparing! I would like to win the Disney Pronto Booster - Mickey Patchwork. I will survive the holidays with the kids by not going overboard with parties, decorating, and shopping. It's not what Christmas is about anyway. I would like the Elite Air 80. I like theElite 80 Air + 3-in-1 Car Seat -Elian for our little guy who will be arriving this December around Christmas! I plan to survive the holidays by spending time with my family....they keep me sane! I'm not positive of which we would pick but perhaps the onBoard™35 Air Infant Car Seat - Decatur. Our holiday is pretty much based around our son. We have lots of plans, but are willing to do nothing if he just doesn't seem up to it. I think with children you always have to be willing to accept plans don't always go as expected. I would choose the Complete Air 65 Convertible Car Seat, and I plan on surviving the holidays by not doing too many activities or trying to rush from house to house on Christmas. I would choose the Complete Air 65 in Sea Breeze and we plan to survive by not overbooking ourselves. Thankfully, this year scheduling has been relatively easy and we don't have any back to back commitments. I really like the onBoard 35 Infant Car Seat in Sail Away. I like the Summit® Booster Car Seat - Entwine. Oh! And I'm surviving the holidays with lots of spiked hot chocolate. :) This is my son's first Christmas where he really knows what's happening and it's so fun to see the joy in his eyes! I would love the elite 80 air protect 3in1 in Elian!! Advance SE 65 Air + Convertible Car Seat - Plumberry for my baby girl!! I'd like to win the Boost Air Protect Booster Whitmore seat. I plan on surviving the holidays with kids by taking it easy. One thing at a time. Would love the On Board 35 Air in St. Germain. probably buying them snacks while traveling, and bringing blankets and pillows will help them survive traveling. I want the OnBoard35 in Bambi. So cute. I'm surviving the holidays with kids by putting rum in my eggnog. I think I'd want the Complete Air™ 65 Convertible Car Seat - Julianne! We could use Able Convertible Car Seat - Tapestry. I would choose the Advance SE 65 Air + Convertible Car Seat - St. Germain, and I think that family members will do a great job of keeping little ones occupied! I love the Complete Air™ 65 Convertible Car Seat - Sugar & Spice...I survive holiday road trips specifically with lots of snacks! Boost Air Protect® Booster Car Seat - Julianne....I'm just going to take a deep breathe and alot of Advil! 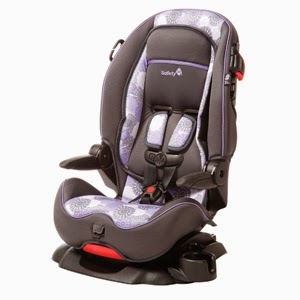 I love the onBoard™35 Air Infant Car Seat in Flutter! We have no kids yet so we are enjoying a quiet holiday by ourselves but we are hoping it will be our last one by ourselves. Summit® Booster Car Seat - Victorian Lace for my 4.5 year old! !